Gypsy Moon earrings are big and light! Created in sage, berry and copper colors. Crescent charms are lightweight. I gave antiqued brass base metal charms a Verdigris patina paint finish that creates a creamy sage / turquoise green color. Burgundy Sea Shell Pearl dangles from the center. Small Czech glass rondelle beads in berry colors dangle from below. 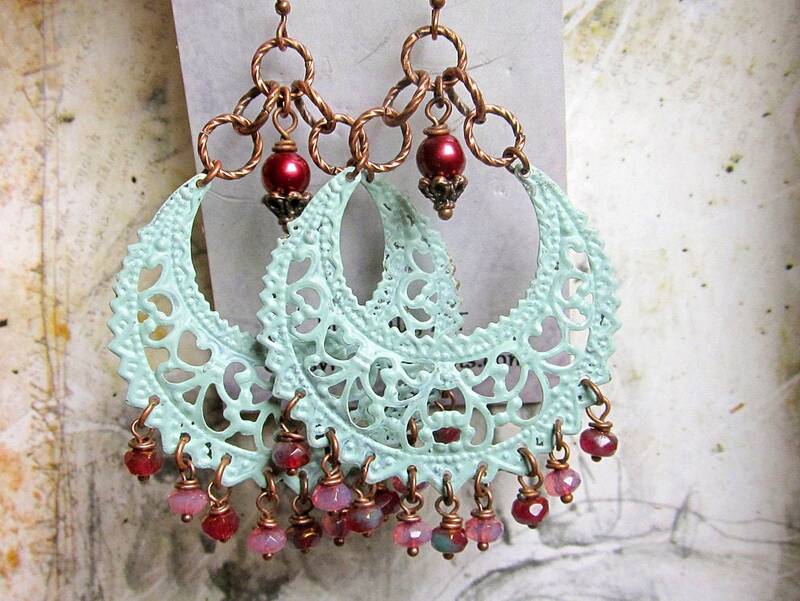 Antiqued copper earwires are nickel free. You will receive your earrings in a pretty silver-foiled gift box via First class mail.